Even though I am not participating in the Rose Blossom Blog Hop today, please start the Simply Fundamentals Blog Hop on Lynn's blog. If you've followed us for the hop this year, you know how much fun it is to go through the Rose Blossoms artwork! WHAT A GREAT CHRISTMAS GIFT FOR YOU OR THAT FAVORITE SCRAPBOOKER ON YOUR LIST!! When you purchase the album bundle, you will also qualify to receive a value pack of side load or top load Memory Protectors™ FREE—a savings of $19.95! 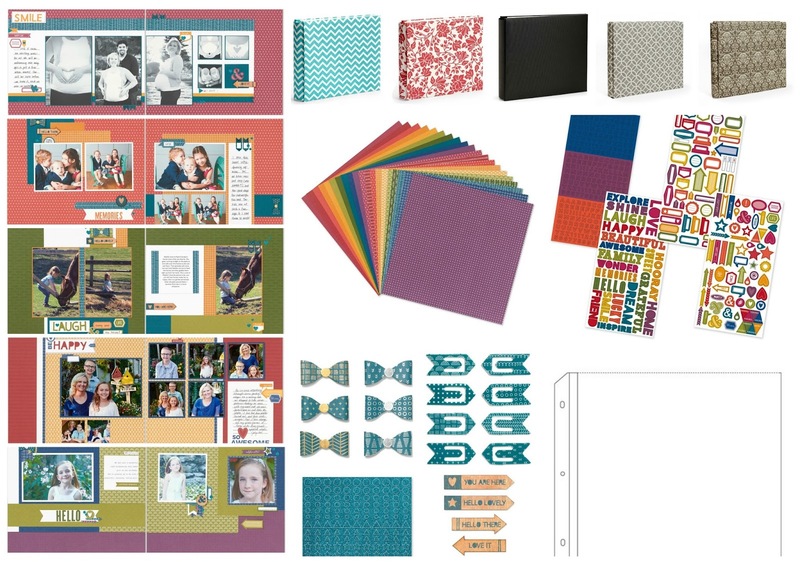 Simply Fundamental Scrapbooking workshop featuring five layouts you can make using all the supplies in your bundle. Each person that orders from me will receive a free paper packet - cardstock or printed paper packet! When you order this workshop, I will send you a link to the workshop so that you can print it off, save it to your files, or use it from your computer screen. ORDER YOUR BUNDLE(S) TODAY BY CLICKING HERE!